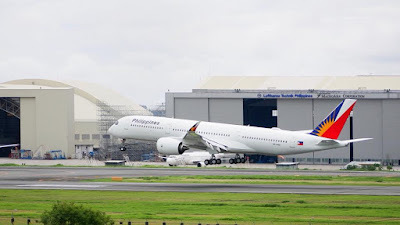 Aviation Updates Philippines - National flag carrier Philippine Airlines once again brought honor to the Philippine airline industry for achieving the top 49th spot as ranked by the London-based international airport and airline rating organization Skytrax. AIRBUS A350 XWB. 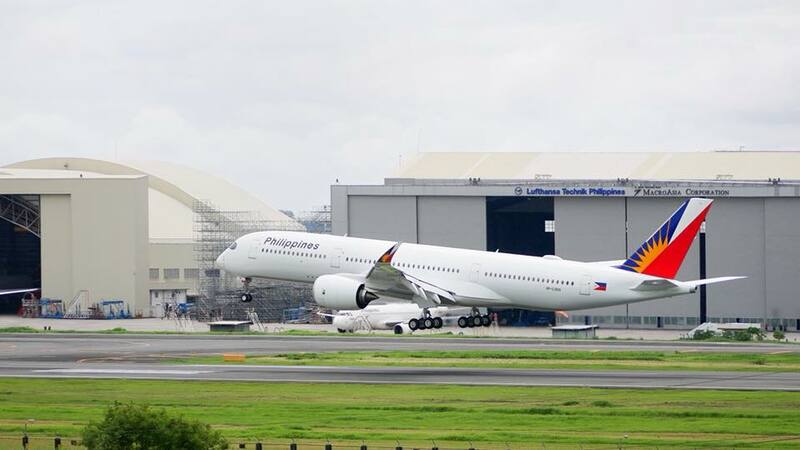 Philippine Airlines accepted the delivery of its first Airbus A350-941 XWB from Toulouse, France last week. Photo by Kevin James Santander Batungbacal - PPSG. Apart from being ranked as the 49th best among 335 airlines worldwide, PAL also turned out to be the second most improved airline for 2018, just below China Southern Airlines which ranked number one in that category. PAL is also included in the top 30 airlines for the cabin cleanliness category. In the 2017 rankings, the flag carrier ranked 67th in the world's best airlines list, while it ranked 83rd in 2016. This signifies a huge leap in the advancement and refinement of PAL as a full-service carrier. Earlier this year, PAL was awarded the 4-star airline rating from Skytrax as the airline continues to aim for its 5-star rating dream by 2020. And it looks like it will be possible with current improvements on passenger services and cabin offerings. “I am overwhelmed with pride and joy. This latest win shows how far we have come in working to transform our airline, and this victory is especially sweet because it reflects the votes of our beloved customers,” PAL President and Chief Operating Officer Jaime J. Bautista said in a statement on Thursday as reported by Inquirer.net. PAL received its first Airbus A350-900 XWB this month and its first Airbus A321neo last month. This signifies another milestone and pride for the Filipinos as PAL embarks on a modern era of its airline operations. “The 4-Star award, Top 49 ranking and the 2nd Most Improved Airline vote challenge us to keep up the progress, and our hi-tech new A350s and A321neos mark our determination to hit full 5-Star status by the end of 2020,” Bautista said. Over the near future, PAL will be strengthening its plans to improve passenger services and offer more routes and aircraft. By 2020, the airline will operate a fleet of more than 100 aircraft as it receives the delivery of 19 more Airbus A321neo and 5 more Airbus A350-900 aircraft.